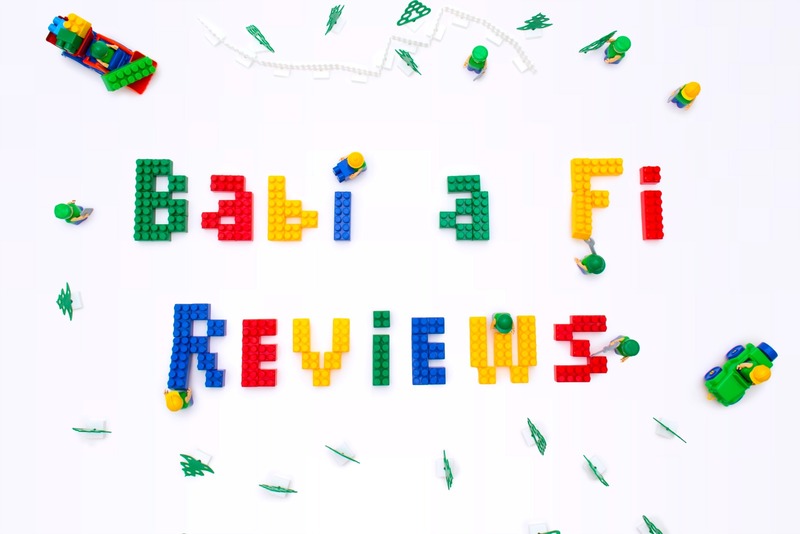 Before Christmas lots of bloggers were running competitions for Penwizard vouchers, a children's book company established in 2004 which specializes in personalised books. What sets them apart from their competitors is the ability to personalise the illustrations as well as the text. After checking out their website I was really impressed by this aspect, especially with the Christmas themed Raymond Briggs books. I made it my mission to win one! The overlords of comping luck, or whatever else it is determining the roll of the dice, smiled on me fairly quickly - only for me to get to the checkout and realise that the voucher wouldn't cover the book I wanted. (£19.99 for a large softback and £24.99 for a large hardback.) At the time I literally lacked two pennies to rub together so I went for 'Adventures in Birthday Land' instead at £12.49, fully covered by the voucher. 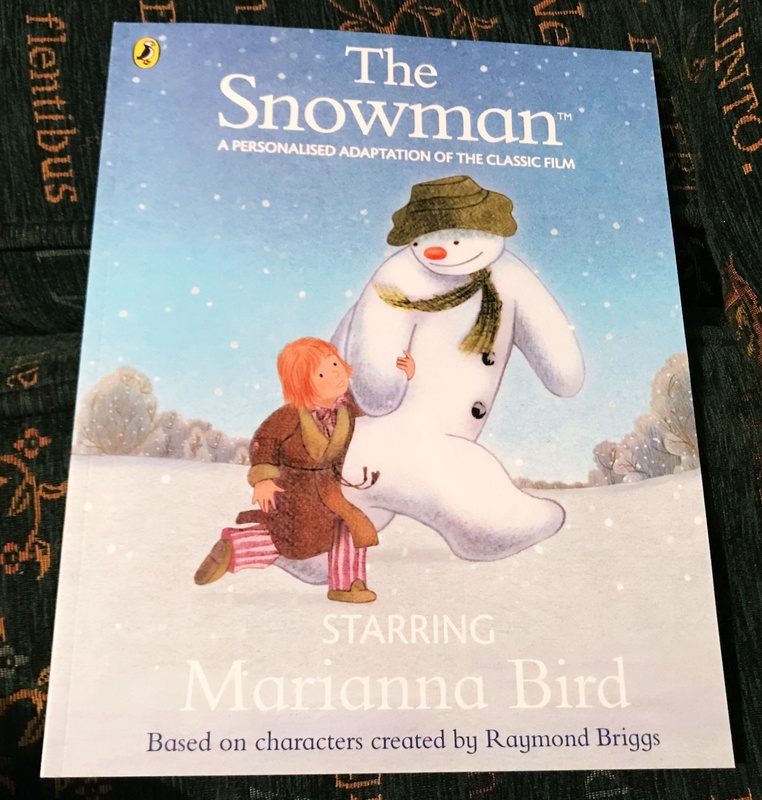 Still, I kept thinking about The Snowman book - the animated short being one of my favourite things about Christmas - and when I saw another round of competitions I crossed my fingers and entered them all. This time I was lucky enough to win a £20 voucher and I went straight to the site to place my order. 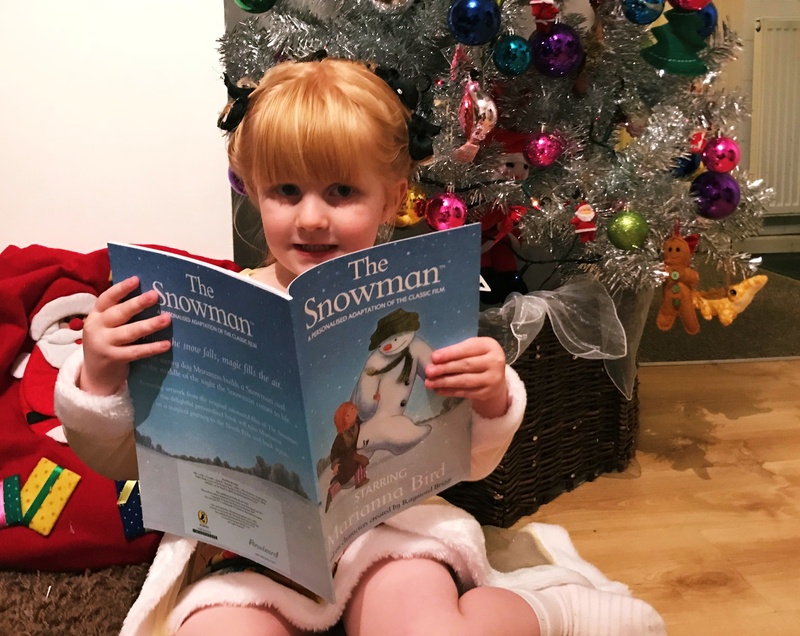 The website is really easy to use, and it didn't take long at all to customise the child character's skin, hair and eye colour, as well as the length of the hair and a printed message at the beginning of the book. Turnaround time and delivery were super quick, and within days I was putting it away for Marianna's Christmas Eve box. 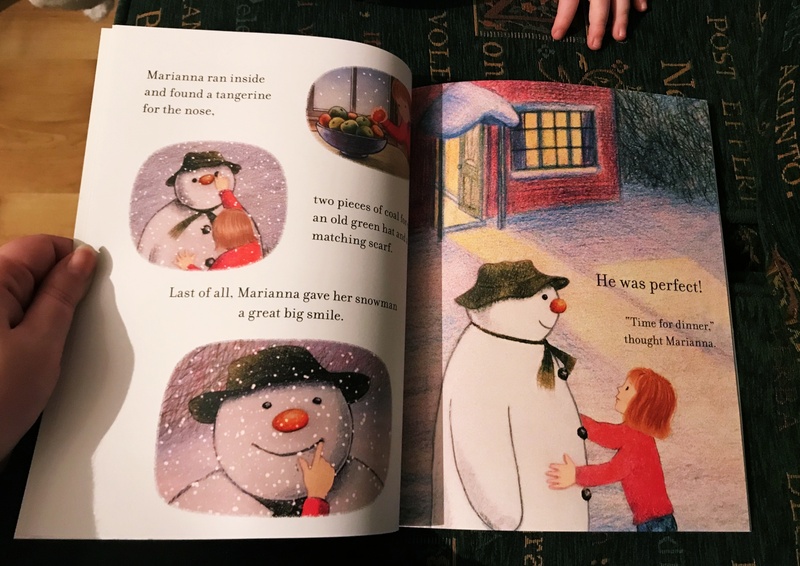 When the day came we told her it was a special gift from McGinty, our Elf on the Shelf, and Marianna was so excited when she realised she was in the story. Even once Christmas was over she wanted to read it again and again, and told anyone who would listen how she was the star of her very own book. All in all I was extremely pleased with both books. The printing and binding is top notch, every bit as professionally done as the originals, and though they are a little on the pricey side it's worth it for the personalisation element. They're a great keepsake kids can still get plenty of use from in the here and now. A+.